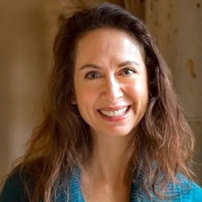 This description of Jessica Sager's work was prepared when Jessica Sager was elected to the Ashoka Fellowship in 2017. Jessica Sager is transforming and professionalizing the field of family childcare by supporting the providers in radically reimagining how they see themselves. Jessica aims to restructure the haphazard and inadequate systems that provide early child care in this country and replace them with competent, integrated systems of secure, skilled professionals who meet the diverse needs of our diverse families, particularly in low-­‐income communities. Jessica has identified family child care providers as a key leverage point for improving outcomes in underserved communities. With training, support, and tools, the care providers in the All Our Kin network are able to achieve twin goals. They can provide quality nurturing and educational environments for developing children, while also honing their business skills and earning a good living. All Our Kin's research has shown that one of the strongest indicators of quality in a childcare provider is whether that provider feels that she has a choice in joining the profession and intends to remain in the field of childcare long-­‐term or permanently. Jessica works to change the way family caregivers are viewed from a model where they are "babysitters" to one where they are "teachers" and gain that sense of professionalism both in their self-­‐ concept and in the way society views them. On an individual level, this sense of professionalism empowers people to be better caretakers and more confident economically. On a societal level, viewing family child care providers as professionals means compensating them, supporting them, and involving them in policy discussions, all beneficial outcomes for the people who do this work and for society as a whole, which benefits from a robust and high-­‐quality family child care workforce. The program has far-­‐reaching social and economic benefits. Access to quality, flexible, community-­‐based childcare allows parents to work to support their families while trusting that their children are learning and growing. Meanwhile, being cared for by providers who know how to nurture, teach, and help build school-­‐ readiness skills helps children build the foundation for school success and ultimately better lives. Child care, especially for infants and toddlers, is in short supply; for many people it is tremendously expensive; and worst of all, few child care settings meet quality standards for supporting children’s healthy development. Some states have more robust systems than others, but many states' childcare fields are very weak and highly fragmented, inadequate to the needs of providers, children, and families. In response to the need for flexible, affordable child care programs, informal caregivers operate small, home-­‐ based programs that are the primary source of child care for infants and toddlers in low-­‐income neighborhoods. These caregivers come to the work out of a love for children and families and a dedication to the well-­‐being of their communities. However, they often lack materials, equipment and supplies, as well as formal training in early care and education. underpaid and are far too often left out of professional development initiatives and opportunities to build their earnings and their skills. This pernicious cycle, where the caregivers in greatest need of training, serving the children with the greatest need for support, are excluded from resources, knowledge and training, further disadvantages children and families. The earliest years are the time of greatest brain development. Young children are assembling the portfolio of skills and tools that will support them throughout their lives. These include cognitive skills, such as early literacy and numeracy; social-­‐emotional skills, such as following directions, working in a group, taking turns, making and carrying out plans, and bouncing back after setbacks; and tools for understanding how others think and feel, laying the foundations of empathy. Nonetheless, we have structured child care as the responsibility—and burden—of individual families. This leaves parents of young children, particularly low-­‐income parents, with very few choices, and fewer still that balance a parent's need to provide their child with the best possible care with a working parent's need to be reliably present for work, sometimes for long or irregular hours, in order to support their family. Even fewer of these options are affordable. Family child care providers help parents meet the need for affordable, flexible care but must be supported themselves in order to provide children with care that promotes healthy development, ensures school-­‐readiness, and sets children on the path towards a promising future. If we continue to view these providers as "babysitters" rather than "teachers," we are doing a disservice to not just the providers, but the families and children they serve. All Our Kin started out first as a laboratory school in New Haven, Connecticut training mothers who received welfare benefits to become quality childcare providers. At the time, President Clinton had recently and dramatically changed welfare law, so that in order to continue receiving benefits, all individuals had to be working or in job training programs, even those with very young children. Jessica built this job-­‐training program centered around childcare so these mothers would be able to remain with their children while enrolled and working in a job-­‐training program that allowed them to keep their benefits, simultaneously increasing the supply of available childcare to meet the increased demand caused by the changes in welfare. Later, they built the beginnings of the All Our Kin provider support network for their graduates, but large numbers of people who came to the profession from a route other than the laboratory school were clamoring for similar supports, and so they ultimately pivoted their program, closing the laboratory school and focusing their resources on building a network that could support and professionalize family childcare providers on a larger scale. Now All Our Kin runs a thriving multi-city network that supports the largely female workforce of informal child care providers in not just becoming licensed but reaching their fullest potential as both nurturing teachers of children and professional, financially-­‐secure small business owners. outcome is provider earnings-­‐ 75% of providers earned at least $5,000 dollars more their first year working with All Our Kin. In addition to increasing provider revenue, All Our Kin's model of flexible, supportive, community-­‐ rooted childcare allows parents to work and be reliably present at work, increasing family incomes. Between parent and provider incomes, All Our Kin's work puts $15-­‐20 dollars back into the community for every dollar they spend. Launching more sites alone will not allow All Our Kin to reach their vision of transforming child care options for families across the country.. To meet this need, All Our Kin is building capacity to train other community organizations across the country in best practices and the All Our Kin model, building on existing community strengths and ensuring that the model reaches thousands more children. They are in effect "training the trainers" to come into provider's homes and model, observe, and reflect with them on how to provide the best care and enrich their business model. All Our Kin is also experimenting with virtual coaching and sharing curricula in order to reach more providers and the communities in which they work, ultimately improving childcare options for tens of thousands of children and their families. At the state and national level, Jessica uses All Our Kin's stories, data, and strong track record to communicate with policymakers and thought leaders. Jessica wants state and national leaders to recognize the key role home-­‐based providers have in providing flexible, culturally competent care for children and their families. Jessica amplifies the voices of these providers, a crucial part of any discussion of systems for supporting childcare. She also emphasizes the economic benefits of supporting these small businesses. She has successfully swayed policymakers to increase childcare funding and structure regulations in a way that supports providers. She remains dedicated to the larger mission of changing society's perspective on childcare, making it a much more valued industry, with better paid providers and broader access for every parent and child. All children need and deserve the highest-­‐quality care we as a society can give them. Jessica's early life was shaped by exposure to her mother, a civil rights activist and a lawyer who battled employment discrimination. She was also a caregiver for a family member, who had significant emotional and physical challenges, which gave her insight into how limited the supports available for those children and their caregivers really are. As a student, her passions were literature and theater. In college, she had a job with an arts organization, helping children in public schools across New York City write and perform their own plays. After college, she was working as a professional actor, travelling across the country in a mini-­‐van, playing Beth in a production of Little Women. Two months in, in the middle of rural Michigan, the minivan lost control in the rain. The van flipped over and rolled down a ravine, landing upside down. She crawled out through a broken window and found herself standing on a hillside in a strange place in the rain, in silence, alone. It was in that moment that she thought, “What am I willing to die for?” and remembered those kids back in New York. She soon applied to law school, to become a lawyer to fight for the rights of children. into what All Our Kin is today: a growing national network of professional, exceptional home-­‐based childcare providers.